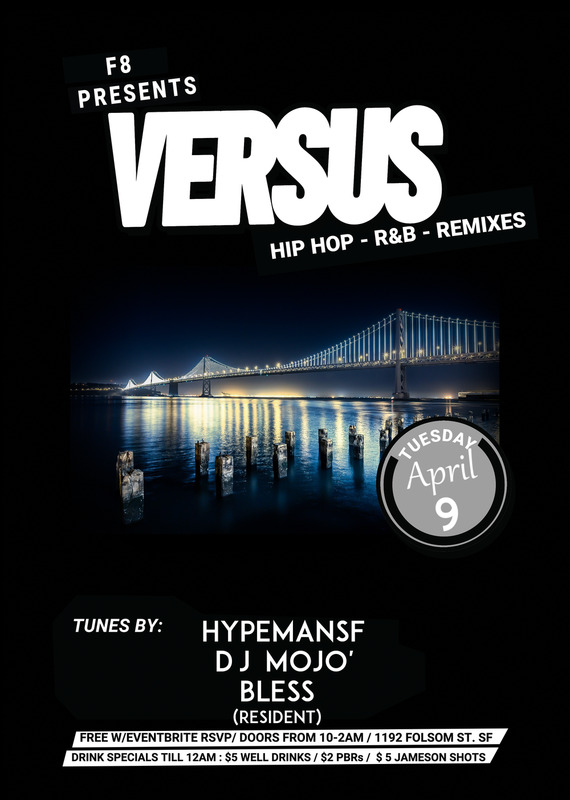 Versus is a FREE Hip Hop & RnB party that goes down every Tuesday in the heart of SF with special guests and rotating resident DJ’s goin in throughout the night ! A few times a month we have specific themes for the night so keep yo head up on this page for more details, but overall it’s strictly Hip hop VS. RnB! Prepare yourself to get rocked nostalgically with all the classics, the underrated, the tracks you loved but neglected and more at F8! The question remains, why not? Make sure to RSVP for free entry all night! Drink specials, good music and vibes. We hope to see you there!